JoHanna Robinson, 91, of Kansas City, Mo., passed away September 12, 2017 in her home with her daughter and grandkids at her side. JoHanna came from a great period of time in our history. She was born in Germany in 1926. She lived through the Nazi regime. She was able to leave Germany in 1946, a year after allied powers defeated Adolf Hitler in 1945 during W.W.II. She came to the U.S. by boat at the age of 20. Once in the U.S. she took a few small jobs. One she loved most was as a seamstress. She also received her citizenship which she was very proud of. In 1964 she met my grandad, Curtis Robinson. They were married in 1965 while he was stationed in the U.S. Airforce. Curtis passed away in 2000. Johanna leaves behind a daughter, Amber Bousted (Robinson) of Kansas City, Mo. ; an estranged daughter, Valerie Robinson of Oklahoma; two grandsons, Harry Velez Jr. of New York, NY, and Larry Velez of Wisconsin. She is also survived by 11 great grandbabies; a niece, Melonie Clark of Kansas City, Mo., and a sister and a brother in Germany. Her family and friends all loved her very much. A memorial will be held in her honor at 12:00 p.m. Saturday, September 30, 2017 at Northland Abundant Life Worship Center, also known as KC Church, 7700 N. Church Road, Kansas City, MO 64158, where her and Curtis attended for over 25 years. 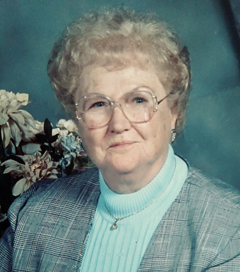 A graveside service will follow at Fairview Cemetery in Kearney, Mo. JoHanna will finally be reunited with her husband, parents and siblings in heaven.